Camperville and Duck Bay, on the northwest shore of Lake Winnipegosis, are inseparable in their history, religion and society. Mention of the northwest shores of the three Manitoba lakesWinnipegosis, Manitoba and Dauphincan be found in many early fur trade journals. It was northward from Lake Winnipeg via Cedar Lake and on to the prairies and northwest territory that the voyageurs paddled their boats, to build their forts, explore and trade with the Indians. Wooden cross that originally marked the grave of Fr. Darveau at the spot his body was discovered and first entered. Centre row: Rev. C. J. Camper (Camperville named after him), Rev. Leonard Welpt, Archbishop Langevin, Rev. Provincial Cahill, Franciscan Sisters, with Fr. Joseph Chaumont behind them. Others are visitors and native parishioners. Indian Residential School, Camperville—constructed 1894-1897. Destroyed by man, February-March 1972. Local residents in foreground. Monument erected in place of first wooden cross at first burial site of Fr. Darveau and companions. Situated 7½ miles from Duck Bay. First Camperville Mission Church built 1906-1910. Interior destroyed by fire 1930. Note two-storey steeple. The Hudson’s Bay Company had access to this area also from the north. Fort Prince of Wales, built in 1732 at the mouth of the Churchill River, and York Factory, established in 1682 on the Hayes River, gave the Company water routes that eventually led to the lake country of interior Manitoba. Fort Dauphin was established in the interior at the south end of Lake Winnipegosis on the Mossy River in 1741 by Pierre La Verendrye. 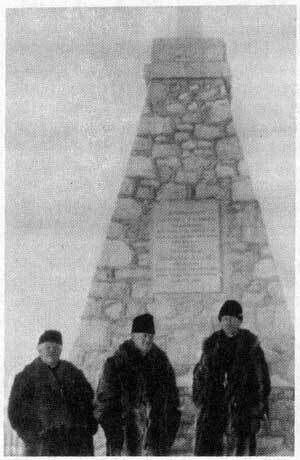 Nicholas Jeremie, Daniel Harmon and Peter Fidler travelled in this area, to be followed later by William Dawson and Henry Youle Hind. Inhabited by Muskegon Indians (Crees of the muskeg) and Saulteaux, the area was an ideal place to trade, fish, hunt and explore. Later, the boats that plied these inland waterways were manned by Indians and Metis from Red River and Metis settlements in the south, at St. Ambroise and St. Laurent. The Hudson’s Bay Company requested Roman Catholic and Protestant missionaries to accompany employees on their long journeys ministering to their spiritual needs. Early missions in the Camperville and Duck Bay area are predominantly Roman Catholic, but to the north, at Shoal River, and the east, at Fairford, the Anglicans established missions in 1855 and 1842 respectively, and played an equally important role in the development of those areas. The earliest of the Camperville and Duck Bay Settlements can be traced back to families of the Metis who at one time lived in Red River and the more western districts such as St. Francois Xavier (then known as la Prairie du Cheval Blanc or White Horse Plains), St. Ambroise and St. Laurent. These people, in quest of work and adventure became employees of the Hudson’s Bay Company, and gradually found permanent places in small settlements along Lake Winnipegosis and throughout the interlake district of Manitoba. Salt deposits were found eight miles north of the present-day town of Winnipegosis and also across the lake at Salt Point, and here some of these adventurers remained to prepare salt by an evaporation process for the Hudson’s Bay Company. This area was given the name La Saline, and some present residents remember evidence of the “cribs” at Flett’s Point in the 1920s. Early permanent settlement resulted from this enterprise, as many of these Metis married Cree and Saulteaux wives and remained there. On 28 August 1871, an Indian treaty was signed at Manitoba House which created Pine Creek Reserve. This more or less confined the Indian population to this particular area along the lake. 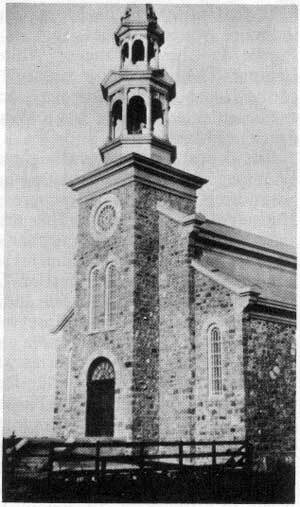 One of the early missionaries who travelled in this area, using St. Laurent as a starting point, was the Rev. C. J. Camper. By that time the Hudson’s Bay Company had established a post at present-day Camperville on what is now Lot 6, under the management of a Mr. McKenzie. Isaac Cowie, in his book The Company of Adventurers, states that in 1867, “there was an outpost of Shoal River at Duck Bay on Lake Winnipegosis.” With the encouragement of Father Camper, more Metis from the St. Laurent area began to settle there. Eventually this settlement became known locally as Camperville in honor of the ministrations of Father Camper. However, it wasn’t until around 1914 that this name was used on the map. Until then it was still known geographically as Pine Creek. Under the direction of Father Camper, a small wooden building was erected for church services and school. The first resident priest was the Rev. J. A. Dupont O.M.I., and on 8 September 1886 the first parish register was begun, with the baptism of a Sioux descendant named Herman McKay. On 22 January 1894, the little settlement saw the arrival of the Rev. St. Germain, accompanied by the Rev. Adelard Chaumont, who began work on a residential school for the Indian children. 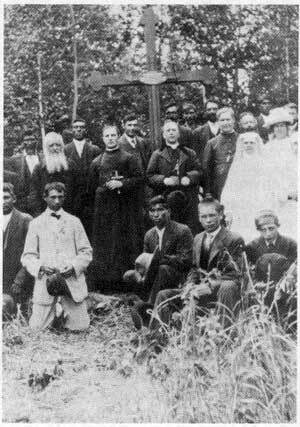 Missionaries who followed in later years were Rev. Bousquet, Rev. Gulen, the Rev. Joseph Chaumont (mrother of Adelard), the Rev. J. de Grandpre, and the Rev. Joseph Brachet, who was in charge of the mission from 1918 until 1936. 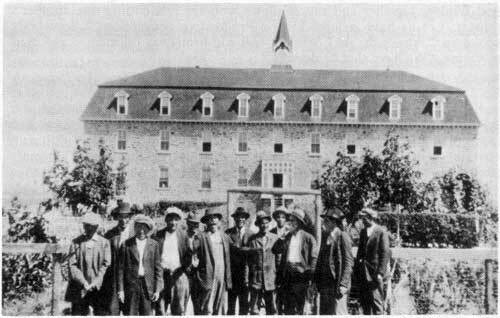 The residential school, a large four-storey building, was constructed of local stone by Scottish masons from Red River. Construction began in 1894 with Fathers Germain and Chaumont gathering stones by oxen and cart, with the help of the local people. It was not until 1897 that this school was in operation. It was said to be the first solid building northwest of Dauphin. It included a chapel, which was used for worship until the large stone church of the same design and material was constructed in the years from 1906 to 1910. So many stones were gathered during these years of construction that Chief Flatfoot expressed his opinion that they should stop or there would be none left. These mission buildings were an object of admiration and surprise for all who passed through this wilderness of lakes, woods and muskeg. Academic subjects were taught half-days to the higher grades, with instruction in home economics and agriculture taking up the rest of the time. A manual training workshop was built for the boys. A small grant covering only a small portion of expenses was paid by the Department of Indian Affairs, so those in charge of the Mission turned their thoughts to other ways of financing the institution. Land was cleared for vegetable gardens and grain, to feed the cattle herd that was started. The Mission was especially interested in giving the students the skills necessary to make a good home with pleasant surroundings. Evidence of open fields can still be seen, but the barns and workshops have disappeared. When the Oblates first arrived, they set up a sawmill to furnish the lumber for their buildings and to provide employment for local residents. Several Orders of Sisters served the Mission as teachers, nurses, cooks and housekeepers. These included the Franciscans from 1897 to 1922; the Sisters of St. Benedict, from 1922 until 1928, and the Oblate Sisters since 1928. Eight years after the residential school was constructed, a man who was to devote much of his life to its cause arrived as a lay worker to aid Father Chaumont, and after his ordination to become its director. He was Joseph Brachet, who was born in Savoy, France (1887) but emigrated to Canada as a young man. Coming west to homestead, he found himself in Lestock, Saskatchewan, where he became acquainted with the missionaries working there among the Indians. Admiring their zeal and dedication, the young man decided to devote his life to the same cause and returned east to serve his novitiate in Montreal and to attend the University of Ottawa. After his ordination he returned to Camperville. He also served missions at Fort Alexander near Pine Falls, and at MacIntosh and Dog Creek near Eriksdale. It was under the direction of Father Brachet that the mission at Camperville saw its most productive years, from 1912 to 1938. He was a brilliant linguist and his ability to speak fluent French, English, Cree and Saulteaux enabled him to work efficiently with all residents of the area. During his years at Camperville he wrote a Cree hymnal and translated much of the scriptures into that language. Father Brachet maintained that in dealing with the Indians, the Oblates always tried to instill the idea of payment for a job well done. The year 1930 was marred by an unfortunate event. The beautiful stone church was destroyed by fire, which left only the outside stone walls. All the irreplaceable furnishings, most of which had been donated by friends and patrons in eastern Canada, were lost along with all the early documents pertaining to the building and operation of the Mission. The fire was blamed on a young Indian boy living in residence, who became very homesick and unhappy. One day after church services he started a fire in the basement, reasoning that if the church burned so would the school, which stood nearby. If the school were no longer there, he could return home and his troubles would be over. During the night the fire that had smoldered all day began to rage, and was beyond control when it was noticed. Later, architects declared the outer walls worthy and reconstruction began the same year, resulting in a church of the same style and material. However, one can easily distinguish between the two because the first church had a two storey steeple while the steeple on the second was only one storey. The furnishings of the new church were not as elaborate of those of the first building, but they were still very grand. Again they were donated by other parishes and patrons in Winnipeg and the East. As years went by, the costs of financing increased until the Mission could no longer carry on as a residential school, and it was turned over to the federal government, to be financed as an educational centre entirely by the department. Several years ago a modern day school was built by the federal department, to which the Indian and Metis children come as day students only. In February of 1972, word of plans for the demolition of the original stone residential school, built between 1894 and 1897, was brought to the attention of the Swan Valley Historical Society. Though proceedings were started immediately to save it as one of Manitoba’s historical sites, destruction had already begun and the plans were irrevocable. By the end of March 1972, only a pile of rubble and the faint outline of the foundation remained. The many stones hauled for its construction were taken by truck and dumped into Pine Creek, west of the site, to make a causeway. Though the Rev. Pelletier, now in charge of the Mission, felt the building should have been preserved because of its serviceability as well as its historical significance, his sense of humor came to the fore with these remarks: “When we are gone, some archaeologist may chance to dig at the dumping spot and will thinkhere a glacier must have melted and dumped its pile of rocks!” The building no longer belonged to the Oblate Fathers and they did not know where to turn for help in saving one of Manitoba’s landmarks. In 1842, Father Darveau, travelling with the fur brigades, began his missionary work among the natives in the Duck Bay and Pine Creek area. This young priest travelled extensively, north to The Pas, and as far west as Fort Pelly. On a journey back from The Pas, in June of 1844, Father Darveau met an untimely death. Alexander Ross in his book, The Red River Settlement: its Rise, Progress and Present State, says Father Darveau was drowned “in a rather mysterious manner.” Archbishop Tache, in his “Esquise sur le Nord-Quest de 1’Americque” is of the opinion that Father Darveau was drowned when his canoe struck a reef. However, two men who have spent many years at the Camperville mission, Fathers Joseph Brachet and Maurice de Bretagne, say they have no doubt that the young priest was murdereda victim of the misconceptions of Muskegon sorcerers (medicine men) who were afraid that they would lose their influence over their people as a result of the new religion of the white men. 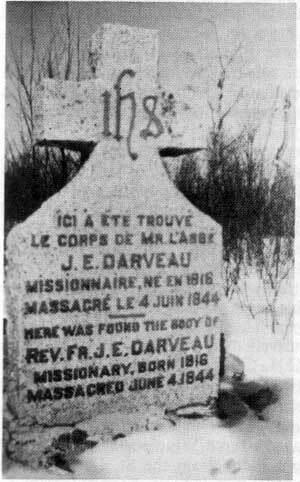 Descendants of native families living in the Swan River area give this account of Father Darveau’s death. It would seem that Father Darveau, with a Metis guide named J. Baptiste Boyer and a small boy, probably a son or relative of the guide, were travelling from The Pas to Lake Winnipegosis. Their bodies and canoe were found washed ashore on a bay seven and a half miles northwest of Duck Bay. News of the tragedy spread quickly, as the bodies were found near a camp of Metis. Burial of all three took place at this site, but later Archbishop Langevin had the priest’s body disinterred and sent by boat to St. Boniface, where it was placed in a crypt in the cathedral. A wooden cross was erected to mark the burial spot on the lake shore. In 1930 Archbishop Sinnott wished to bring to public attention the fact of this martyrdom by erecting a permanent monument at the place the bodies were recovered. A subscription was launched through the press and donations came in from other congregations, organizations and individuals. The real burial site could only be reached by boat, so the idea did not find favor with the local priests and residents, and eventually a compromise was reached with the bishop. A small granite cross with a bronze marker was erected at the actual site, and the large monument previously mentioned was constructed on the mission grounds at Camperville, to which people would have access by road. Father Brachet relates that at one time when Father Darveau’s mother was very ill Father Darveau vowed to devote his life to the western missions if she should survive. Eventually he was called upon to devote his life in every sense of the word by becoming a martyr to the cause of Christianity in the Northwest. In 1767 William Tomison (founder of Fort Edmonton for the Hudson’s Bay Company) made his way up the Severn River from Hudson Bay and crossed over to the headwaters of the Berens, which he descended to its outlet in Lake Winnipeg. It was not, however, until 1814 that a post was established at the mouth of the river and called Berens River after Joseph Berens, Governor of the Company. This post was occupied by men sent from Jack River House, as Norway House was then called. Two years later (1816) the post was moved upstream to the third lake, probably to the place now known as Old Fort Portage, where in September 1816 Donald Sutherland erected a house. At the same place were the remains of an old house built by the Albany traders, and also an abandoned North West Company post. The Nor’Westers built a new house on the same lake in 1818 but occupied it for only one season, leaving the H B C in possession. Soon after the union of the two companies in 1821 the post was re-moved to nearby Pigeon River, becoming an outpost. It is referred to in the District Report of Norway House for 1823 as: “Berens River better distinguished by the name of Pigeon River, is the only outpost in this District”. A year later, however, it was returned to the lake on Berens River and in 1825, when John Robertson, clerk, was in charge, was once more cited as a post and subsequently continued as such. Berens River post was first included in the Winnipeg River District, until the abandonment of that District in 1832, when it became part of the Norway House or Jack River District. Today Berens River has a population of about 650 and the main language is Saulteaux. Most of the adult males normally engage in commercial fishing in the summer and trapping in winter. At one time mink, fox, beaver, muskrat, ermine, fisher, otter, lynx, skunk and squirrel were caught. There are Roman Catholic, United and Pentecostal missions, and a Roman Catholic Mission hospital. Supplies for Berens River go in by steamer in the summer and by tractor train from Riverton in the winter.